Bruce Kinsman says he “caught the bug” playing poker in Vietnam. 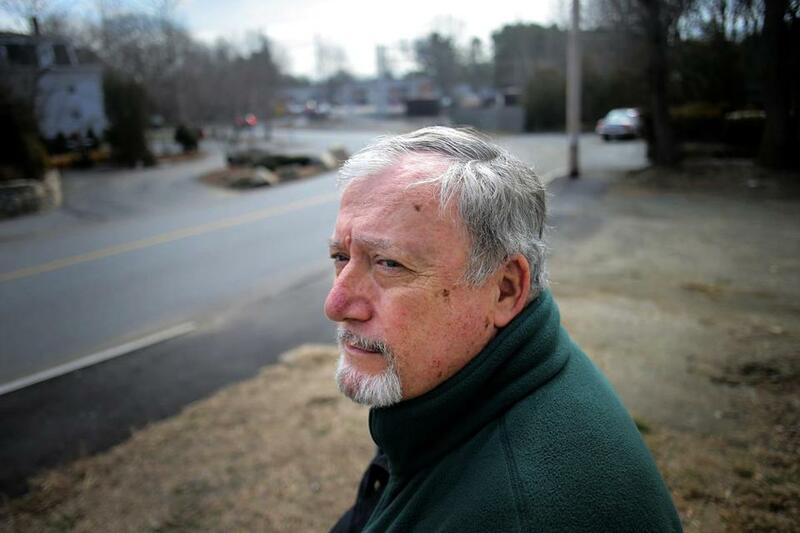 Before he was confronted by his anguished wife, Bruce Kinsman was losing about $1,000 a week on the state lottery in frenetic pursuit of a jackpot. Realizing his gambling had spiraled out of control, he quit completely a decade ago and began attending Gamblers Anonymous meetings. Today, Kinsman, 67, traces his compulsive gambling, an addiction that ravaged his life for decades, to his military service in Vietnam, when he said he “caught the bug” playing high-stakes poker to help relieve the stress and boredom of war. It’s a struggle shared by many veterans, specialists say, and the problem is drawing attention, nationally and in Massachusetts. A new report by the General Accounting Office recommends that the military begin screening service members for potential gambling problems, and the state’s Gaming Commission and Department of Public Health are planning an in-depth study on the prevalence of problem gambling among Massachusetts veterans. Problem gambling counselors say veterans, particularly those who served in combat, develop gambling disorders at a substantially higher rate than the general public. “We’re trying to figure out a way to look at this and decide what can be done for a population we are very concerned about,” said Stephen Crosby, chairman of the Gaming Commission. Lori Rugle, a psychologist and program director at the University of Maryland Medical School’s Center of Excellence on Problem Gambling who has spent more than 30 years focusing on problem gambling among active duty military personnel and veterans, including 18 years with the Veterans Health Administration, said some veterans feel emotionally “numb” from trauma they’ve experienced in war zones. Gambling becomes a coping mechanism, she said. “For some veterans, taking risks by gambling makes them feel alive again,” she said. Although the survey received nearly 10,000 responses, it was not considered extensive enough to establish a direct correlation between veterans and problem gambling. But officials said it raised enough concerns to warrant a more comprehensive study that will be financed by profits from the state’s nascent casino industry. “It’s a problem that definitely needs attention,” said Marlene Warner, executive director of the Massachusetts Council on Compulsive Gambling. The state’s first casino, Plainridge Park, opened in 2015, and resort casinos are being built in Springfield and Everett. Keith Whyte, executive director of the National Council on Problem Gambling, said studies suggest that military veterans are twice as likely to experience problem gambling in their lifetime. “Risk factors for gambling addiction include individuals who are male, young, prone to risk-taking, use and abuse alcohol and drugs, and experience stress, depression, and post-traumatic stress disorder — all factors known to be more likely among military personnel,” he said. 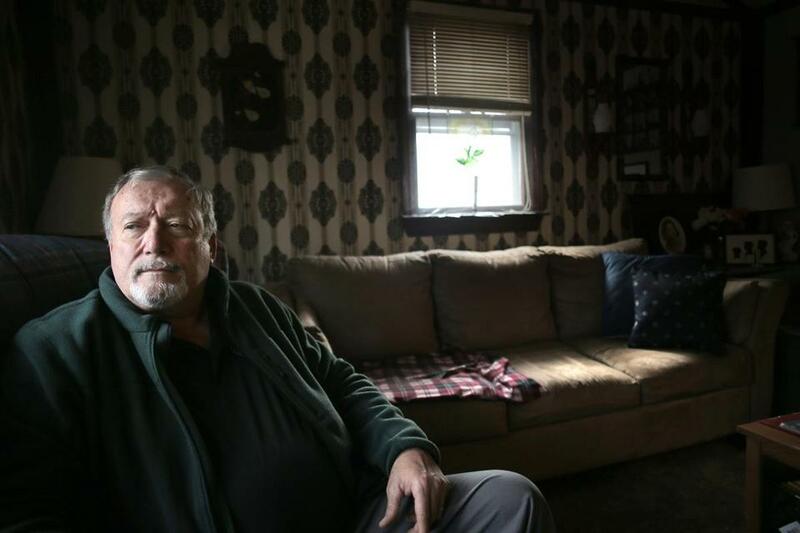 Vietnam veteran Bruce Kinsman, who lost about $1,000 a week, stopped gambling in 2006. He attends Gamblers Anonymous meetings to maintain his recovery and encourage others. In a 2016 government survey of more than 700 veterans, about 4 percent reported problem gambling, twice the generally accepted prevalence among the general population, Whyte said. “Without proactively asking gambling disorder questions,” the military misses the opportunity to identify problem gamblers and provide them with counseling, the report concluded. The Department of Defense, however, rejected the recommendation “due to the disorder’s low prevalence,” according to the report. A spokeswoman for the Department of Defense said the military “can often identify behaviors early through other mental health assessments” and provides support to those with gambling addictions. The Department of Defense operates more than 3,000 slot machines around the world, but not on domestic bases, according to the GAO report. About one-third of the slot machines are in Japan, with hundreds more in Germany and Korea. Profits from the machines — almost $100 million a year — finance recreational activities, the GAO said. “The machines on military installations and posts overseas provide a controlled alternative to unmonitored online or host-nation gambling venues, and offer a higher payment percentage, thus making them more entertainment-oriented than those found at typical casinos,” a spokesman for the Department of Defense said. Senator Elizabeth Warren of Massachusetts, who in 2015 introduced an amendment to a defense spending bill that called for the study, said the report marked an important step to helping members of the military “get the right kind of prevention, treatment, and financial counseling” for gambling disorders. “With thousands of slot machines on overseas bases generating millions of dollars in revenue, the military needs to tackle problem gambling head-on — the men and women who serve our country deserve nothing less,” Warren said in a statement. Rugle said she has lobbied for decades for more extensive screening in the military, with little success. Kinsman, who lives in Ashland, can name the date in 2006 when he bought his last lottery ticket, his final gambling loss. He said he still attends Gamblers Anonymous meetings to maintain his recovery and encourage others. Younger veterans don’t usually show up, but he knows many are out there, battling the same addiction he did. “They need help,” he said.